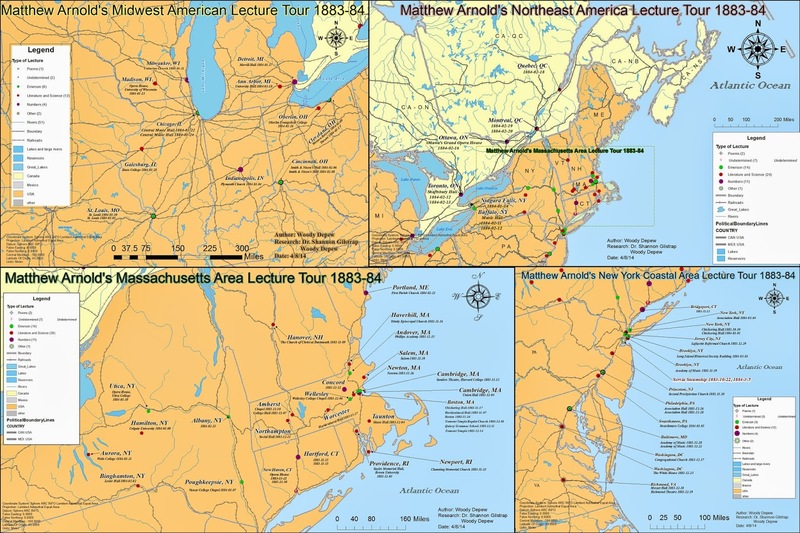 This is a static map representation of Arnold's North American lecture tour, created by Woody Depew with research by Dr. Gilstrap. You can click on the map and it will open in a new window. 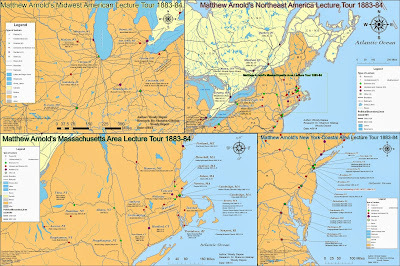 The dates of Arnold's lectures, as well as their locations, are listed and the lecture he gave at a specific spot is indicated by the color-coded icon. Additionally, railway lines have been layered onto the map. This image should be considered the property of the creator(s) and should not be used without permission. This map is an on-going project, and will be updated regularly. Please report errors to the webmaster. Some funding for this research was made possible by UNG's Shott Scholarship.